An independent inquiry is to be held into how a council failed to recoup millions of pounds in unpaid loans from a troubled enterprise firm. 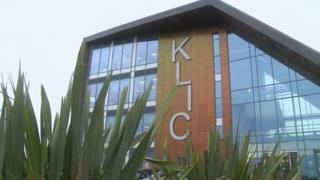 Norfolk & Waveney Enterprise Services (NWES) borrowed £2.75m from the district council to help build the Klic business start-up hub in King's Lynn. King's Lynn & West Norfolk Borough Council will be held to account after members voted for the inquiry. The King's Lynn Innovation Centre has since been repossessed by the council. At an extraordinary meeting of the full council on Tuesday, members voted for an independent inquiry to be held, the Local Democracy Reporting Service (LDRS) said. During the meeting it emerged the council missed numerous opportunities to carry out further checks on NWES's financial dealings to ensure the loans would be repaid. Independent councillor David Pope said these included the time in September 2016, when a further £260,000 loan to NWES was agreed. The inquiry was approved following a motion tabled by independent group leader Jim Moriarty, which Conservative council leader Brian Long seconded. "The public has the right to know if the problem is as a result of incompetence, vested interests or much more murkier," Mr Moriarty said. "The independent external inquiry will shine a bright light on the operations of this council." Mr Long said: "It is very easy to say with the benefit of hindsight that things went wrong, but we now have a fantastic facility in the innovation centre. "There were no concerns at the time and building the centre then was the right thing to do. "Now, the right thing to do is have the inquiry and look at what lessons can be learned." Mr Long went on to insist the £2.75m "had not been lost - it has just not been repaid".